To develop a community-owned arts and innovation hub in Morecambe's West End - as we work together to transform our area. Who are The Exchange Creative Community? 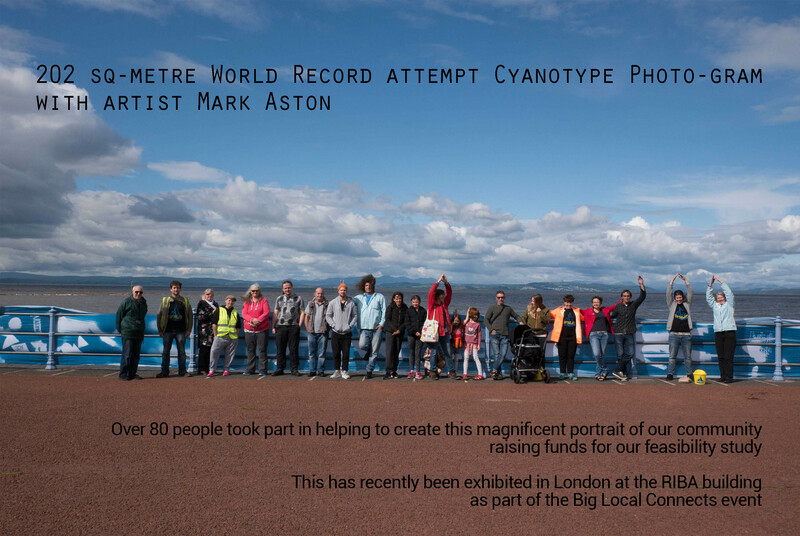 We are an award-winning Community Interest Company that has been operating for 3 years from Morecambe's West End. Born of a love for the area and the people in it, we have worked collaboratively to bring people together through art and creativity. We’ve been supporting a wide range of community initiatives in the area, promoting wellbeing, learning and enterprise. With the support of the amazing community around us, we have achieved a great deal in a relatively short space of time. We have established a thriving community hub offering a range of popular initiatives such as a community run cafe, Slow Fridays - community meals and entertainment, Second Saturdays - monthly free to attend creative workshops and exhibition showcasing local artists. We've opened affordable artist studios in Morecambe Arndale Centre, and have an emerging tool library in the making. 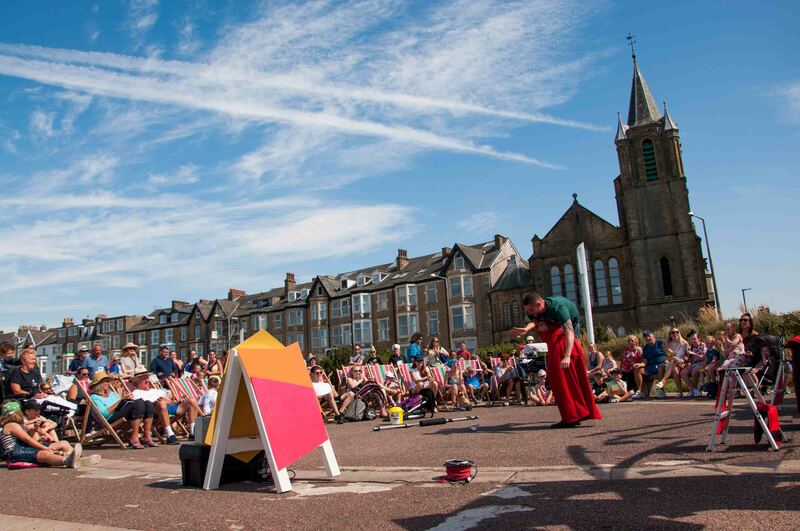 We are actively involved in many other community development projects and regularly participate in local events and festivals, providing, amongst other things, family workshops and opportunities for local artists to make, show and sell their work. In November 2016 we were given keys and access to the rear rooms of what was Trinity Methodist Church which has stood mostly empty for almost 20 years. We have awaited a tenancy ever since, increasingly becoming aware that the owners would instead prefer to sell the building. As a result we launched the Steeple for the People campaign with an end goal of gaining full use of the grade II listed church building in the heart of Morecambe’s West End. For the last 12 months, we have poured most of our energy into bringing the church into community ownership, to benefit the people of Morecambe for many years to come. In this time £15,000 has already been invested in work, including bringing in architects and specialist building inspectors, due to the listed nature of the building. A further £25,000 has been pledged by the Architectural Heritage Fund for more specialist work, provided we can raise enough money for match funding. This will not be possible without your support! 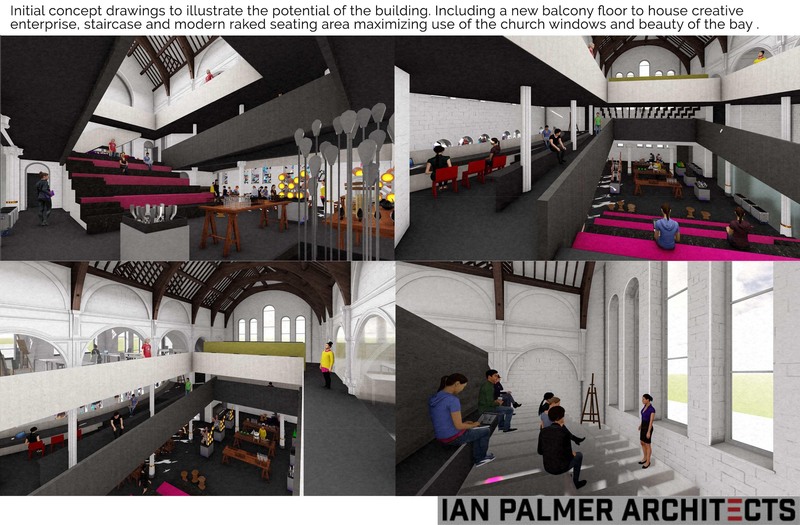 With a focus on creativity and innovation, and after much consultation we have developed a plan for how we can turn this incredible and historic building into a dynamic and inclusive space that can respond organically to how people want to use it. Conscious insulation and energy efficient upgrades to reduce the buildings carbon footprint and sustainability for the future. This church is an important landmark in the area, not only is it a beautiful building that has stood on the site for over 120 years and has seen Morecambe grow around it, but it presents an opportunity for a bright future in the West End. It is the Keystone building in creating a busy and thriving arts quarter, that celebrates the creativity of local people. Having finished the first phase of feasibility and design consultations with members of our community, we began negotiations around the possibility of a community purchase - something the owners were supportive of. The initial suggestion was to pay a deposit and then pay further instalments over an agreed time frame, unfortunately, we have been unable to agree a fixed price for the overall purchase. Last week - everything changed when we received a notice to vacate the building after having informal use of the space for the last year - as the current owners have decided to put the building up for auction at the end of September. We are launching this emergency campaign to raise the funds to try and secure it into the hands of the community and ensure that the money already invested doesn’t go to waste. Overall, we are seeking to raise an estimated cost of £100k needed to purchase the church and further develop the business plan, firstly - to ensure the £25k already agreed by AHF is still earmarked for important work in this area. And secondly to ensure the property is secured into community ownership to serve it for years to come. We have achieved so much in a short time, but the clock is now ticking loudly, there is a very real chance that we could lose the opportunity to bring this much-loved building into community ownership. Photo from our recent arts festival Make My Day! on the promenade out front of the Trinity Methodist Church. Head over to our website for more information, join the 'Friends of the Steeple' group and additional updates. PLEASE NOTE whilst this building is our first priority, if for whatever reason we are unable to progress forward in securing it, we have identified another site that we will redirect funds to, in our mission to ensure Morecambe benefits from a community-owned arts and innovation facility. We will do all we can to boost our green credentials when renovating and restoring the building. We have explored possibilities whilst commissioning the feasibility study. This is likely to include LED lighting installation, high quality insulation and possibility of a hybrid air source heat pump and underfloor heating. We believe in energy efficient upgrades to reduce the buildings carbon footprint and sustainability for the future. We are committed to providing a quality space and environment for the local community and creatives to come together with an emphasis on cultural and social development for those who engage and enrichment of the local community through workshops, programmes and a wide range of other community events. When completed, the facility will be available for other local community groups to use including some of our existing partners Sustainability Morecambe, North Lancs Inclusion Mental Health Service, Morecambe Bay Partnership. The project is a unique opportunity for Morecambe to have a first-class community and cultural resource. Over the last 3 years we have come to firmly understand the role that buildings and spaces play in community life: providing vital support, access to services, reducing social isolation, enhancing health and wellbeing, creating local opportunities and collectively building a strong sense of community pride.  Please enjoy the taster sampling some of the many rewards pledged by our amazing community. We will reveal these over the course of the campaign. THANK YOU! For some, it might not seem much, but for us it means the world. Thank you for donating. When it comes to donations, size doesn't matter every bit counts and will help us towards the target! Slip us a tenner and we'll post you out a custom Steeple sticker keepsake as a token of our grattitude. Signature Exchange Poster Print. A2. 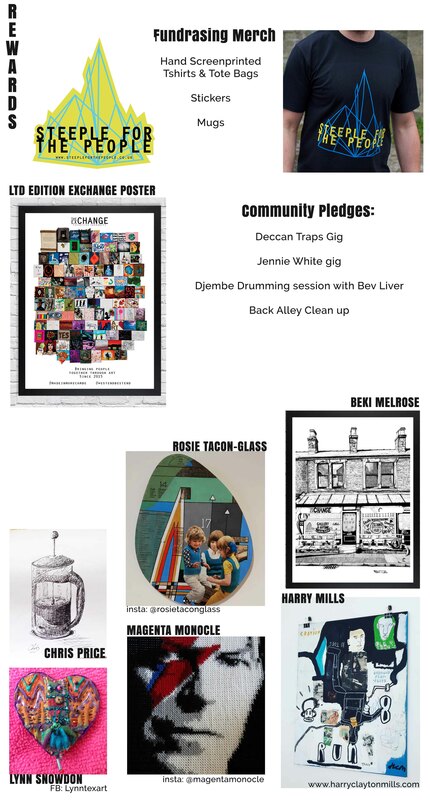 Donations and pledges of £20 or over will receive a Exchange Poster Print - 'Bringing People Together Through Art' as a thank you. For pledging £25 you will receive a 2 colour hand screen-printed Steeple Tote Bag. Available in Black or Yellow. Fiona Frank has pledged 3 CV consultation sessions for £25 each. (By Skype and email as she is currently travelling) after which you'll get a cv and application letter tailored for the particular job you're going for. (This is normally priced at £75-£100 so you are getting an great deal for this excellent service whilst supporting the Steeple! Upon pledging we will put you in touch with Fiona. An origianl Chris Price pen and ink drawing of your choice. The Queen of Collage is offering a 1:1 3 hour collage tutoring session including tea, biscuits and music from her studio based in the wonderful Luneside Studios. Upon completing the session you will go away with an artwork to hang on your wall that evening! Donations and pledges of over £50 will receive screen printed Steeple T-Shirt. For this pledge you will receive a 2 hour djembe drumming workshop with Bev Liver for up to 6 people. Drums will be provided. Not only is Bev a fantastic drummer but she has many years of experience working in a range of community settings. This could be a great thing to do for you and some friends and/or family or book Bev for your community, school or work group today at this bargain price. Donations and pledges of over £75 will receive a custom Steeple for the People artist print as a thank you. A 22" x 20" Magenta Monocle Cross Stitch of your choice from her selection of original generation X stitch designs created especially for you. A craft workshop for 6 people at Sea Shell Crafts new venue on West Street. Paper or sewing - you choose! Jennie will play a gig at a venue of your choice, whether it's your living room, back garden, a wedding or birthday party! Since moving back to the area Jennie has made lasting impressions and we're certain it's only going to grow! The Deccan Traps will come and play a personal gig at a venue of your choice, whether it's your living room, back garden, bedroom or on the beach! Your call! Another West End grown great musical act book them today whilst supporting a great cause! The Good Things Cafe welcomes you and 19 of your guests for an exclusive lock in here at our venue on West Street. Perfect for a family get together, reunion with friends or a celebration - we will create an exclusive 3 course menu for you and your guests to enjoy with a certain quirky twist thrown in for good artistic measure! A dedicated plinth to support emerging sculptors. We will vow to create a celebratory plinth as part of the fabric of the developed building that will support emerging sculptors, in showcasing and displaying their work. Donations and pledges of over £5000 will receive such a plinth in their honour.